Beautiful morning over Sydney - signifying the start of a day of partying and celebrating in spectacular fashion. The World's Most Beautiful Harbour? 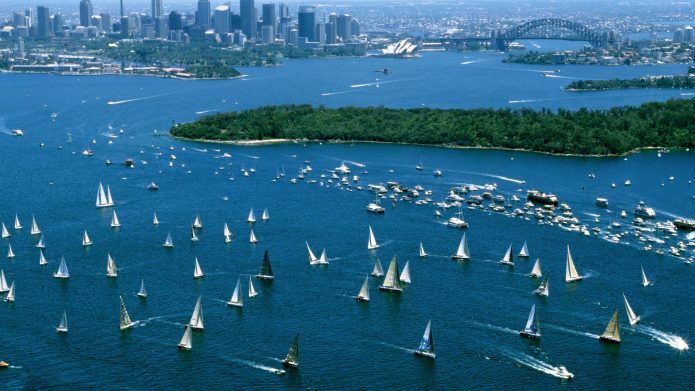 It has been said that Sydney Harbour is among the most beautiful in the world, and as a resident of this fine city I have to admit that I agree wholeheartedly. Not only do we have a beautiful green, leafy, open city that sits majestically each side of a pristine harbour, we also have beautiful weather nearly the whole year around - meaning the chances of you enjoying a pristine Harbour are very good. Top this view off with two of the most instantly recognisable landmarks in the world - the Sydney Opera House and Harbour Bridge and you have yourself a harbour that captures the attention and imagination of those enjoying it. 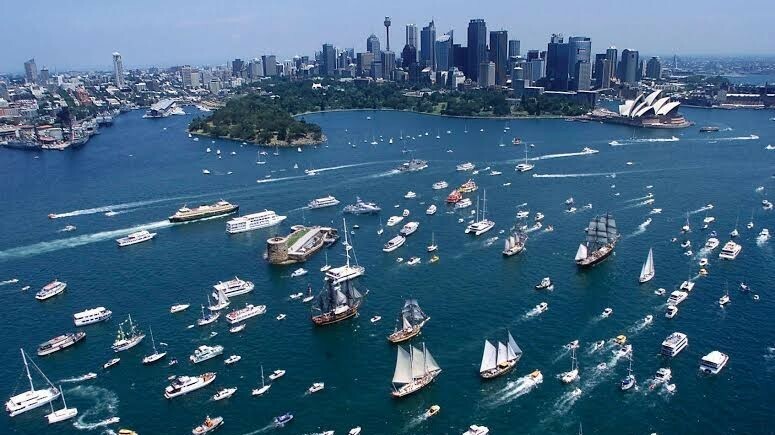 Now it's all well and good that I talk up Sydney Harbour and talk about how amazing it is - but if I can't back that up with a program of pure awesomeness then whats the point? Luckily the city of Sydney has come to the party - and boy did he show up with some good stuff. 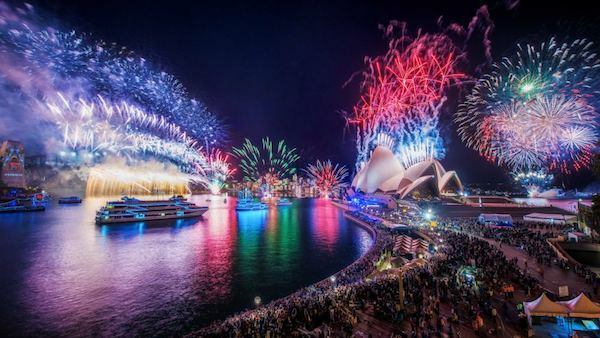 Now it goes without saying that the majority of Australia Day Events are planned on and around the habour and as such it makes sense to book yourself an Australia Day Cruise and get right into the action. 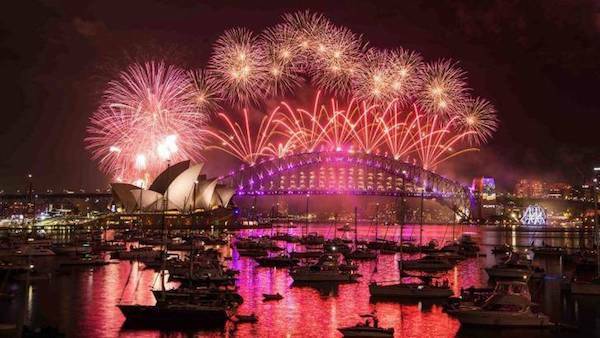 But more on the advantages of boat hire on Australia Day in a moment - let's get back to the program and find out what exactly is going on come January 26th on Sydney Harbour. Apart from the incredible majesty of the Tall Ships - a direct link to our heritage and the arrival of the First Fleet in January 1788. Australia Day Cruises are one of, if not THE BEST WAY TO CELEBRATE AUSTRALIA DAY because they put you smack bang in the middle of the action - and boy is there a lot of it! Imagine being so close to the Tall Ships that you could almost touch them. Or soaking in the sweet sounds of the Cruising Concert - because you'll have front row seats to that. And finally - look up! How incredible are the stunts of the Red Barrons and Russian Roolettes as they perform an amazing aeronautical ballet in the skies above Sydney Harbour. 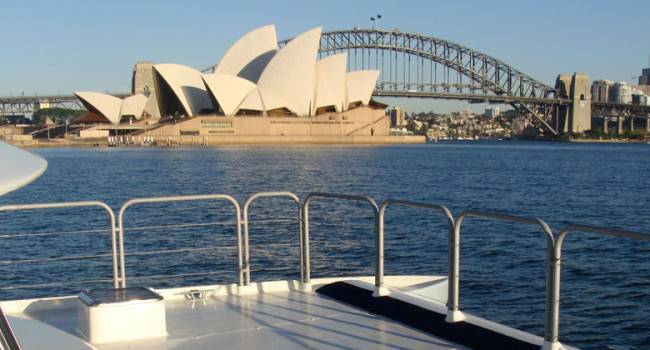 Nothing can compare to the wholesome experience that comes with being on Sydney Harbour when the city comes alive to celebrate its national day - and no one beats Any Boat when it comes to providing excellent value boat hire and the biggest range of charter boats on Sydney Harbour. Contact Us today for more information or alternatively check out our Australia Day Cruises and see what vessels we have available for you and your party.